A 10-year-old boy was among 32 influenza-related deaths reported last week in San Diego County, bringing this flu season’s total fatalities in the region to 206, the county Health and Human Services Agency said Wednesday. The boy, who died on Jan. 25 after being hospitalized for treatment of influenza A/H3, had underlying medical conditions and was not vaccinated against the flu, according to the HHSA. He was the second child in San Diego County to die of flu complications this season. Two pediatric deaths were reported last season and the season before, according to the county, which had tallied a total of 33 deaths at this time last year. Health officials say despite the high number of fatalities, the number of flu cases and emergency room visits decreased last week following a weeks-long trend — with 601 lab-confirmed cases compared to 1,168 the week before. The number of new cases has dropped steadily since the last week of December, when 3,334 cases were reported — a number higher than the total number of cases reported throughout the 2011-12, 2008-09 and 2007-08 seasons, according to the HHSA. But Dr. Wilma Wooten, the county’s public health officer, warned against complacency. 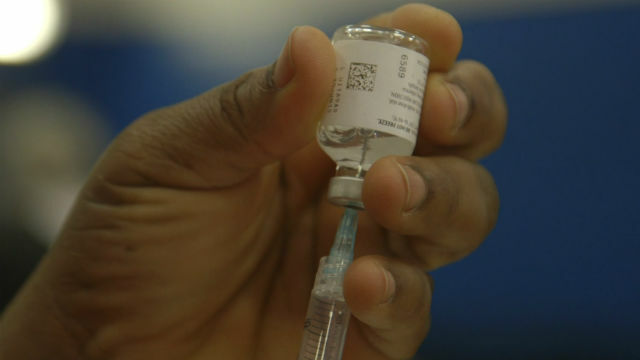 “The San Diego region’s flu season had a peak in late December, but a second peak could occur. People still should continue to get vaccinated, since the flu season often lasts through the end of March, early April, or even later,” she said. Health officials said the number of deaths reported this year is typical of severe seasons when influenza A/H3 virus causes most of the illnesses. Additionally, use of detailed reporting systems also contribute to high numbers compared to prior years and in other parts of the country.